Peabody businesses count on the reliable, friendly service of American Food & Vending, and have done so for over thirty years. 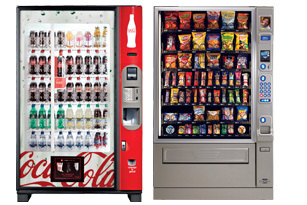 We have the vending machine options your Peabody business needs. Vending machines are installed for free, and can benefit your business with improved morale and productivity. Employees will satisfy their food and beverage needs without leaving the business, cutting down break times. Vending machines create a common meeting area where ideas can be exchanged and employees can get to know each other by name and face, not just faxes and email. Fully stocked, ready to serve! 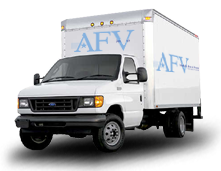 American Food & Vending also installs water purification onto your existing Peabody water source. No more water bottles! (800) 553-2222. A call is all it takes to get started!